Images used are for Illustration purposes only and Irish specification may differ. The individual values shown for CO2 and MPG are the highest or lowest in the available engine range and are not necessarily representative of one specific vehicle combination. The start of an exciting new era for the world’s best-selling car. Enjoy the car that makes driving fun. Feel the difference as soon as you get behind the wheel, with its stylish interior, excellent handling and stability making the drive even more rewarding. At Toyota, we’re committed to making ever better cars. Corolla is built on Toyota’s advanced new TNGA engineering platform, delivering a truly satisfying drive. A more rigid body and low centre of gravity come together to reduce body roll when cornering, while the double wishbone suspension absorbs shocks more effectively, for a smoother ride. The first thing you notice about the new Corolla is its bold and dynamic exterior. An attractive low bonnet gives it a sleek, dynamic profile, which is enhanced by sporty 18" alloy wheels. Our designers have chosen a combination of high quality materials that look stunning together throughout the spacious interior. And you gets lots of space with a front to rear seat distance of 928 mm for a spacious rear seat space, and a generous, 598 litre boot with a number of storage aids for greater practicality and convenience. 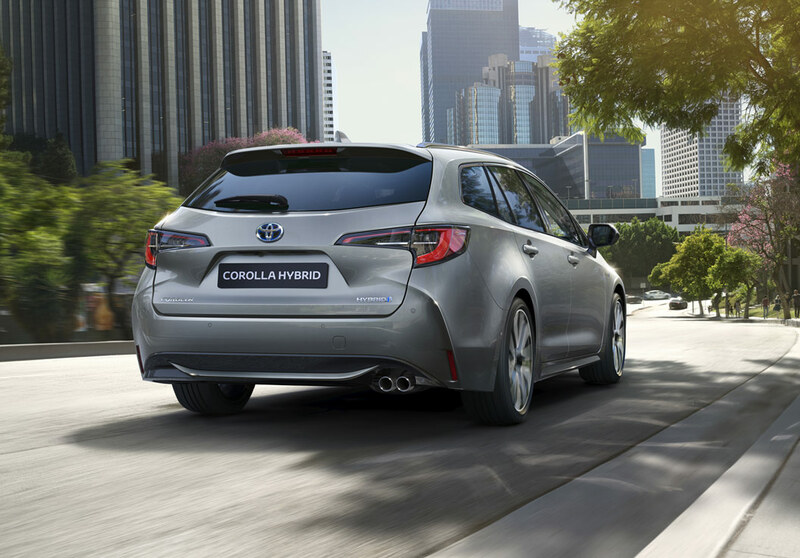 Stylish, efficient and a joy to drive, the all-new Corolla Touring Sports has the space you need with a wheelbase of 2700 mm and a best-in-class rear seat passenger legroom. Experience the segment’s only hybrid Touring Sports (wagon/estate). The 1.8 litre self-charging Hybrid engine provides a relaxed and spirited drive. Whether you're driving in the city or cruising along the motorway, you'll benefit from the self-charging hybrid powertrain, plus the reliability for which Toyota is renowned. An exciting journey lies ahead, as an icon becomes a hybrid. Spirited and responsive in the city, the 1.8 litre self-charging Hybrid engine provides a relaxed drive. 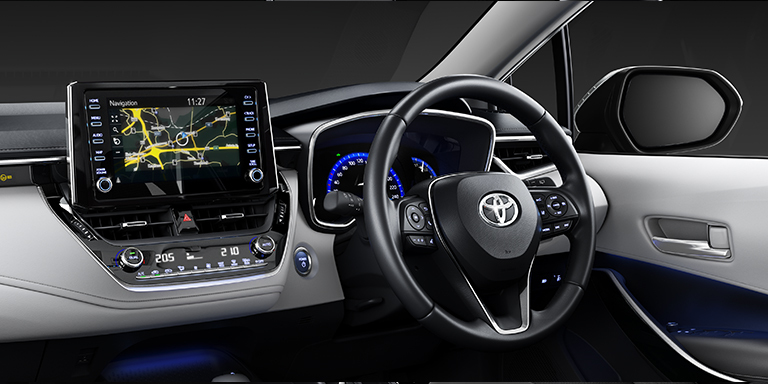 The cabin of the new Corolla has been designed around your comfort. Steering-wheel mounted switches for driving, infotainment and audio controls let you keep your hands in one place. The new Corolla Touring Sports gives you the space you need. It makes the rear passengers just as comfortable as the people in the front. Its generous boot space will fit everything in thanks to an adjustable deck board and easily folded rear seats. Toyota Safety Sense is standard across every Corolla, because your safety is essential. This unique safety system includes an array of updated safety features that makes driving easier, while keeping you and your passengers even safer. Which Corolla Touring Sports are you?